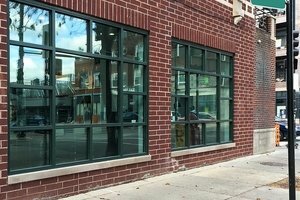 This 1,000 sq ft retail space in West Town is perfect for Pop-Up Stores. Advantageously located on a corner, it's a great opportunity for brands looking to gain exposure. 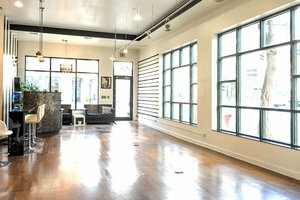 The space is modern and has a quintessential West Town feel with a red-brick frontage. Multiple windows offer fantastic visibility and also fill the space with natural light. This space is flexible in terms of set up and a back area of the store is used as a studio by the owner. 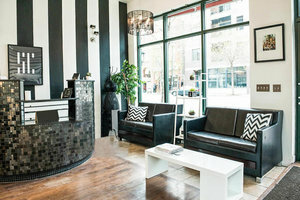 The price includes up to 8 hours of rental the space has a Bose speaker system connected to Spotify, a reception desk with cash drawer, a computer with appointment scheduling software, LED open sign, one changing room, counter space that can transition into 1-3 sinks by request. Photo sessions, event photography & digital display advertising available by quote.